SEGA have made new additions to its Japanese Generations website which include the rundown of tracks for the giveaway CDs included in both the console and DS versions – or the White and Blue editions specifically. 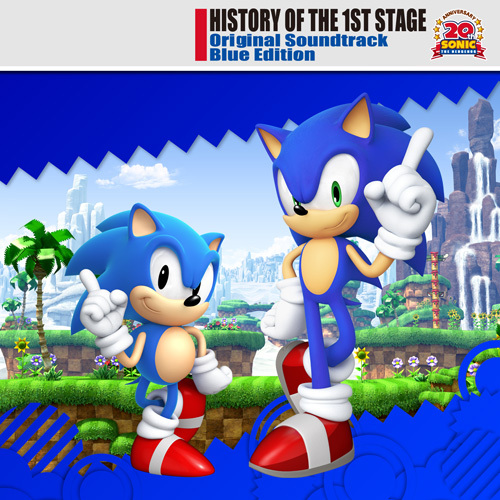 These bonus CDs are both entitled “History Of The First Stage” and are not available outside of Japan and contain a list of tracks from across the board, which as you might well gather from the CD’s title are showcasing the first level of most every game. It is worth reminding people that this is NOT the Generations soundtrack itself and the original tracks are all featured here. You’ll also note that the Blue version contains all the Nintendo exclusive tracks, so the Storybook and Rush series plus Sonic Colours are all found on this volume only. *It appears this track is accidentally listed as Planet Kingdom on the site, hopefully this in not the case on the release.